We are proud to announce our new destination package to Azerbaijan! Azerbaijan is bounded by the Caspian Sea and Caucasus Mountains, which span Asia and Europe. Its capital, Baku, is famed for its medieval walled Inner City. Within the Inner City lies the Palace of the Shirvanshahs, a royal retreat dating to the 15th century, and the centuries-old stone Maiden Tower, which dominates the city skyline. We have gathered all the highlights of Baku that will amaze you since the day one. Departure from Boston on Lufthansa flight, connecting into Frankfurt to Baku. After meeting your driver and the tour representative at the airport transfer to the 5* JW Marriott Absheron Hotel. After resting at the hotel, you will have a stroll at “Night Baku”:Nizami Street, Fountain Square, Baku Boulevard. After breakfast at the hotel, you will have the Old City Tour of Baku. Old City (Icheri Sheher) is the historical core of Baku. This open-air museum is listed in the UNESCO World Heritage List. The architectural appearance of a fortress differs by its unique originality. It contains 44 monuments of medieval architecture, including the unique Palace of the Shirvanshahs, former residence of the rulers of Shirvan, the legendary Maiden Tower, mosques, minarets, the remnants of caravanserais "Multani" and "Bukhara", ancient baths. This is a real ethnographic treasure for lovers of the antique. There are a lot of souvenir shops where you can purchase national clothes, kerchiefs, scarves and caps, dishes and handmade carpets. The Bibi-Heybat Mosque is a historical mosque in Baku. The existing structure, built in the 1990s, is a recreation of the mosque with the same name built in the 13th century by Shirvanshah Farrukhzad II Ibn Ahsitan II, which was completely destroyed by the Bolsheviks in 1936. The Bibi-Heybat Mosque includes the tomb of Ukeyma Khanum (a descendant of Muhammad), and today is the spiritual center for the Muslims of the region and one of the major monuments of Islamic architecture in Azerbaijan. It is locally known as "the mosque of Fatima", which is what Alexandre Dumas called it when he described the mosque during his visit in the 1840s. Gobustan is the national museum in the open air, the rarest monument of the world culture included into the UNESCO heritage list. The reserve is well known with its perfectly preserved rock paintings - petroglyphs - a kind of artistic "archive" of human evolution on the Earth. Gobustan Rocks are not just the brightest witnesses of the prehistoric period of human existence. They reflect the history of this region for nearly 15,000 years - since the end of the era of the Upper Paleolithic till the Middle Ages. Of particular interest are the images multi-oar boats, with a light source at the stern. They were drown above the level at which people had been portrayed, and this phenomenon set up a lot different interpretations Today Azerbaijani scientists found, described and studied more than 4,000 petroglyphs (rock painting in the stone carving art) and this important work continues. Before the start of the tour around Gobustan guests will visit the interactive museum with the same name, where with the help of special programs and multimedia touch screens you will get information about the nature, the flora of Gobustan. Azerbaijan is the first in the world by the number of mud volcanoes. 350 out of 800 mud volcanoes in the world are located here. These volcanoes are formations of a cone-shaped hill with a crater in the ground. The mud volcanoes of Azerbaijan occupied the 5th place in the international contest of “Seven natural Wonders”, and on September 15, 2004 the largest mud volcano of the world located in Azerbaijan was registered in the Guinness Book of Records. Azerbaijan is one of the few places on earth, where even today one can observe elements of preserved fire cult and the ancient Zoroastrianism religion. These places where oil oozes from the earth, and natural gas breaks out like flaming torches have always attracted fire worshipers from around the world. Baku, its oil, its "burning earth" have been known far beyond its borders since ancient times. The official religion of the ancient states that emerged in the VII century BC, such as Mann and Midia was Zoroastrianism. The spread of Zoroastrianism in the territory of the modern Azerbaijan was due to spontaneously flammable sources of oil and gas. Therefore, in this area such a monument as the temple Ateshgah has survived. The temple ages back to the 17-18th centuries and was built by Indian fire-worshipers’ community in Baku. Yanardag The word "Yanar" in Azeri language means "burning", and "Dagh" - "mountain". And this is real a burning mountain - not metaphorically, but literally. Once in Absheron it had been a lot of places where natural gas coming out from the earth to the surface ignited spontaneously, but with the start of mass extraction of oil and gas in Absheron these places started to disappear. At present, it is the only place of this unique natural phenomenon - the output of natural gas to the surface. The design of the new building of the Carpet Museum is distinguished by its originality and constructed as a folded copy of the carpet. Carpet weaving is one of the traditional, old kinds of arts and crafts of Azerbaijan. For the Azerbaijani people the art of carpet weaving is a part of culture, which reflects its rich spiritual world, individual, unique to his character traits philosophy, aesthetics and philosophy of life. This museum contains valuable historical exhibits from all regions of Azerbaijan. In addition to new exhibits, the museum's collection also includes a group of rugs from the former museum of carpets in Shusha. One of the oldest pieces of art in the museum is a fragment of Tabriz carpet "Ovchulug" and the carpet "Hila Avshan" woven in the village of Hila. The museum's collection of carpets was presented more than 50 times around the world. Haydar Aliyev Center is a cultural center, projected as a complex structure that includes the auditorium (convention center), a museum, exhibition halls, administrative offices. The project center has been designed by renowned architect Zaha Hadid. This center is considered to be one of the symbols of modern Baku. Many of those who first saw the design project of the Center could not believe that such a project could ever come true. In fact, even in theory, the construction of a building complex with extraordinary design looks far from being realistic. “Thank you IEV for making my European FIT’s a complete success. Every aspect handled in the perfect detail. Thank you for helping my clients make lasting memories! 100% confidence! I want to start off by saying thank you for making the accommodations, they’ve been lovely. Florence was more than we could imagine, the hotel and staff were exceptional. As was Venice, so far I love Venice more than any city so far. Thank you very much for helping to change things around for us. The room they moved us to in Rome is sooooo much better. The window lets in fresh air and there’s more space. Roberto, the manager, says hello. He said he is friends with your father and was pleased to help us out. Our day is off to a much better start and I feel so much better. Grazie Mille. I just wanted to drop you a note to thank you for coordinating our trip. We had a wonderful time in Sicily – all went well. My aunt did well and really enjoyed herself. Paulo was an absolute gem. Please let Luca know that he was great and so accommodating. He was also very patient. I can’t praise him enough. He is a consummate professional and Luca is very lucky to have him. I loved everything about the trip – Sicily was wonderful. You put together a wonderful time for both me and my aunt. I will definitely sing your praises to anyone that needs to take a trip. Hopefully I will be able to travel overseas again where I would definitely be in touch. Recently you put together a vacation for my clients Stanley and Katherine and I would like to thank you so much for making their vacation a very memorable one. I received a call from them and they were so Pleased and excited about how they loved it from start to finish. Your choice in hotels and the transportation provided from one city to the next with the private drivers was such a pleasant experience for them. They said everything was perfect and your drivers so pleasant. 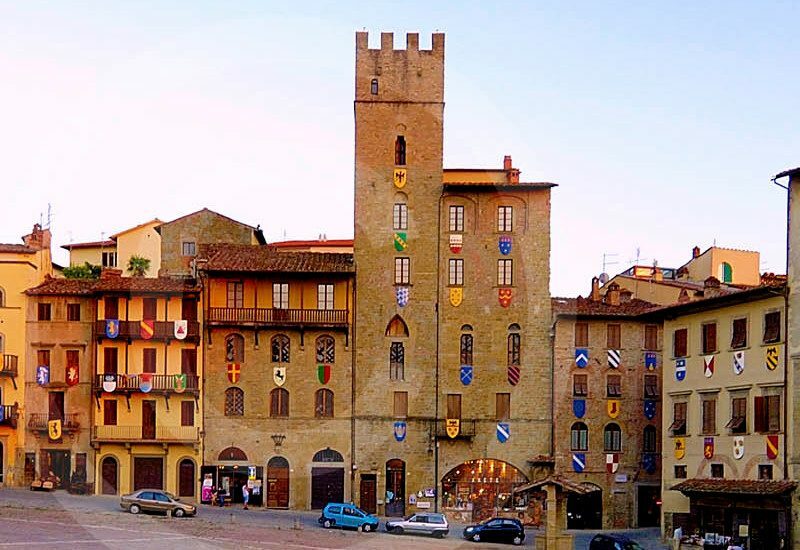 Those who are looking for ancient towns would be wise to head to Tuscany and Umbria. Here almost every village has at least one striking masterpiece of painting, many of them dating back to the 1400s. PUGLIA, the region of Apulia is once again a stylish destination and CALABRIA, a region whose history was shaped by sailing people, Greeks, Byzantines, Arabs, Normans, and more.